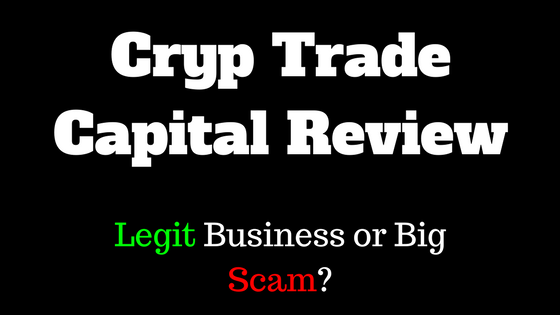 Cryp Trade Capital Review | Is Cryp Trade Capital A SCAM? Welcome to my Cryp Trade Capital Review! People are always looking for a way to make money online. That is why Affiliate marketing is as big as it is. Enter Cryptocurrency trading and the scope of making money online expands. A lot of people know of Cryptocurrency because of the emergence and success of BitCoin. It was only a matter of time that someone would try to sell you an investment plan in cryptocurrency and that is what Cryp Trade Capital offers. So what exactly is Cryp Trade Capital? Cryp Trade Capital is a new company that started making the rounds toward the end of 2016. If you don’t know what cryptocurrency is and how it is traded, there is nothing much that will educate you about it on the Cryp Trade Capital website. The website is vague about who is behind the company, what they do is go straight into selling you the concept. If you’ve ever been involved in Affiliate marketing or MLM you will know that there is always a product that is being sold. There is no product to sell just the concept that if you gave money to the company they can earn money as interest and pay it back to you. Pretty much like what stock brokers do except stock brokers have specific portfolios that they will inform you about. The website defines Cryp Trade Capital, whose director is Vitaly Ipatov, as being a company Founder and Director and run by a “team of highly educated, and professional managers that are willing to share their expertise with you”. It mentions the use of innovative tools used to trade and generate profits for investors 24/7. There is no mention of how investments are done or what these innovative tools can really do. The sparsity of information might be a way of guarding a method that is so revolutionary, they can’t risk anyone knowing about it, lest it be stolen and duplicated. But a company that is sure of what it has and who want to be considered as more than just a scam would at least say a little bit more about who owns it, where it is based and have a little bit more to show on its website instead of an introductory video that could have been produced using stock photos. So what are they selling? Cryp Trade Capital is selling investment portfolios. They assure daily profits that vary between 0.59% and 0.99% for a minimum investment of $50. The Compensation is based on getting more affiliates investing to get the return on their investments. The more you invest, the more you’ll make. – $50 – $4999 gets you in the door as a Standard package member. You are guaranteed a daily return of 0.59% on your investment that is a total 215.35% per year. – A Mega affiliate package member who invests $5000 – $9999 will get a daily ROI of 0.79% which is 288.35% annually. – The VIP package that costs $10000 to $20000 yields an ROI of 0.99%, which is a whopping 361.35% annually. The company offers residual commissions, the kind that guarantees that you’ll make money in your sleep. They use a uni-level structure that goes seven levels up. The initial member makes a percentage on all seven levels that are connected to him or her. – Investor (Invest at least $50) – makes 7% commission for the members he or she personally enrolls. – Agent (if the personal volume of enrolled members is $10000) – 7% on your level 1 members and 5% on level 2 members. – Senior Agent (if the cumulative investment value of personally enrolled members is $5000), you make 7% on level 1 members, 1.5% on your level 2 members and level 3% personally enrolled members. – The ranks go up to Managing agent, Sapphire, Rubin Emerald and the dizzying heights of Black Diamond membership which practically sets you up as a millionaire. Is this a Legit way of making money? The reviews show people are confused, they don’t know whether to trust this or not. If the returns on investments were as big as they were, how is Cryp Trade Capital making the money to payout or is it a case of robbing Peter to pay Paul? They have tried to dispel this by being open with investors, providing trading reports and launching new technical tools to help new investors and old ones to advance. It might be too early to pass judgment on this company. Contrary to some reports, Cryp Trade capital has an actual physical address in Alicante, Spain and it is registered as a business. The company has just had its first International Congress on the 22 to 26 February in Alicante, Spain. 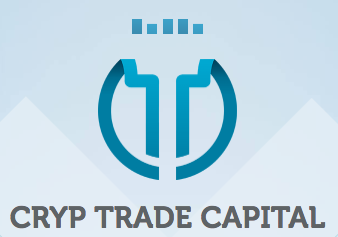 Cryp Trade Capital is a dynamic, developing high-yield investment program (HYIP) with a high-quality website, a variety of tariff plans and an incredible multi-tiered affiliate program with generous reward. It is still early days but it seems to be as legitimate as any HYIP and worth some consideration. I hope that you found the information that you were looking for in my Cryp Trade Capital Review, and if you have any comments please leave them in comment section. Also feel free to share this review. UPDATE: Since the original writing of this Cryp Trade Capital Review, there has been numerous complains regarding the company. Complains are related to money being stolen as well as lack of support inside the member’s area. You can view these complains from actual users in the comment section further below. With these new information, it is not recommended that you invest your money with Cryp Trade Capital. Affiliate marketing is the best way to make money online and is the top recommendation over all other methods. Places such as Affilorama, Internet Jetset, Chris Farrell Membership and Wealthy Affiliate will teach you the process step-by-step. The best thing is to choose ONE platform and follow the training. They are highly respected and well-known across the world. Wealthy Affiliate in particular is the top recommended pick. Learn and apply what they teach and most importantly, take action on what you learn. 37 Responses to Cryp Trade Capital Review | Is Cryp Trade Capital A SCAM? So I would like to know what happened to my investment? Since end of September 2017 no pay outs. It’s a scam I lost 30,000 USD, according to the website on the 9-10-2017, as the EU office is closed, they will make full payments between 7 and 10 working days. Till this date 27-10-2017, I have not heard back from them. I have sent them emails and emails but no luck. Money is gone ($30.000), thanks to the person who introduced me to this s**t.
I am located inside the EU, they did not pay out since September. They wanted me to send my documents (password) via email. This is not very professional!! I was in contact with the support, they told me, that there are “some” problems because of the new eu-laws. I think, I will not get back my money anymore. Me too I lost ($30.000), I believe the money is gone bro. I lost $60,000 and this guy Vitalof will not live long, they will k*** him and all affiliate passive income supporters. Are there any news? Does someone have any new informations? I have same problem as yours, I didn’t receive any payment since end of September! They even didn’t answer in any of my emails. I am European user but they didn’t ask from me any document to send to them!? I have several packages with CTC and have never had an issue with there payments and i am there strictly for Passive Stream. I have also used there support office and it has always been extremely prompt and informative. Pls guys STRICTLY STAY AWAY they are not regulated to any regulated body like Financial conduct Authority or Cyprus Securities and Exchange Commission or any other financial regulatory. Hi moshini…u have been thinking about investing here in cryp trade. Do you advice that I do so or not?? Mohsin, do you know InCloude? is that safe to invest? regulated company etc? It will help to answer your questions. Cancerous thieves and fraudsters, who would bleed you financially dry, but they would hate it if you retaliated back to them. Please avoid, as Cryp Trade is a Bankers Scam. Cryp Trade has paid me out every time so far. Join me and my team! Thanks for your comment/feedback, Earnest. DO NOT USE!!!! Crypt trade stole my money as well. And their webchat is fake. no one is there to help. Thanks for this comment, Fab. It will help others to make a wise decision. You could elaborate a bit more…how did this happen? It’s not good to know that the Cryp Trade Capital company is actually stealing their user’s money. I would say it’s best you get involved with my legitimate recommendations if you truly want to profit from an online business. Don’t lie, because the minimum amount is $50 you can deposit or withdraw!! Yes, Larry. They actually do. Really nice and honest review! I liked it a lot. Yet the company lays everything open – they earn the money by letting brokers trade with the invested money on crypto currency markets. That’s why it’s as successful as it is right now. If you want to check it out, I’ll answer any questions as detailed as I can. Here’s my partner link if you want to see yourself. Thanks for your perspective on the Cryp Trade Capital Company, Raphael. I haven’t come across a single legit HYIP before. Even if they’re paying out, eventually they don’t. Stick to affiliate marketing, the rewards are better. You are very right with your statement, Haroun. Thanks for your comment, Justin. It’s great to know that you are finding the Cryp Trade Capital Company as a legit source to earn more online. I also checked out your review – great job!